If Zouk’s highly-anticipated move to Clarke Quay is the main event, then Red Tail is the calm before the storm. Or drama before the party, if you will. 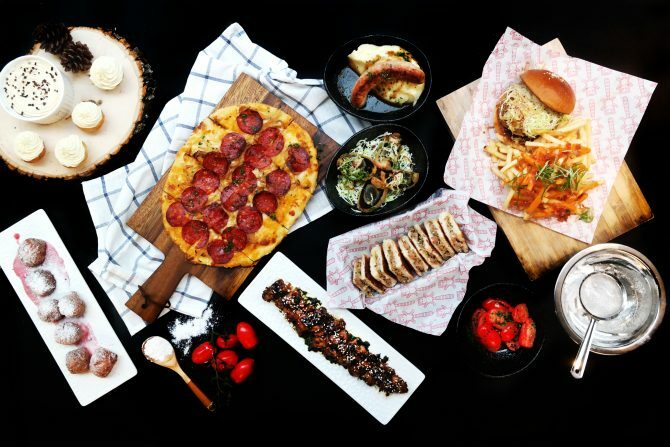 When Singapore’s most loved club decides to unveil its first proper dining concept, it’s impossible not to sit up and take notice. Thankfully, Red Tail doesn’t disappoint. 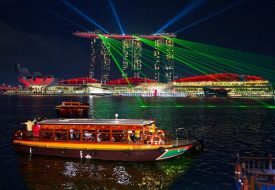 The restaurant and bar is situated prominently at the Clarke Quay Cannary Block, beckoning one and all with its glitzy, bright red neon lights. Stepping within, one notices a blinking motif of its mascot, the Red Tail panda. 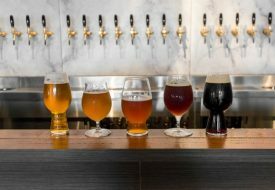 It seemed only apt that the adorable nocturnal animal fronts the eclectic drinking hole, whose entire concept is centered around a convivial setting for pre-party drinks, casual catch ups and even networking. Likewise, the menu reflects the playfulness of Red Tail. Each page depicts the adventures of the namesake mascot, in retro comic-style frames. 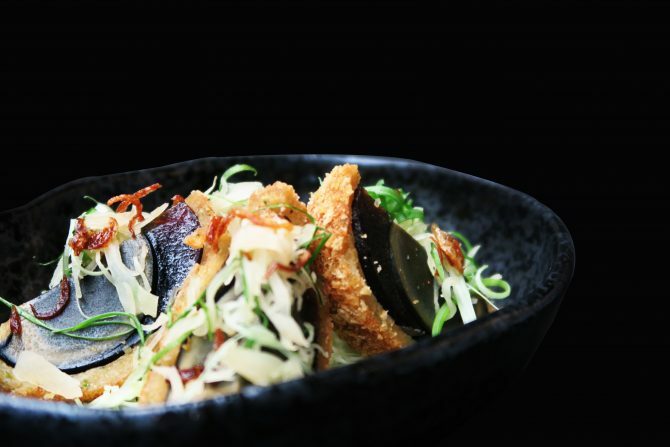 Unpretentious nosh is the call of the day, with mainstays like the Coffee Pork Collar ($18). Tender strips of slightly fatty Katarosu pork collar are tossed in a house-made coffee sauce and a coriander and laksa leaf pesto. Sticky-sweet and tasty, this is one dish you’d want all to yourself. Drinks-wise, we recommend starting out with something refreshing like the Bae ($25), an appetising and fruity blend of Umeshu, Pear Eau de Vie, Pear Liqueur, Peach Bitters and Prosecco. 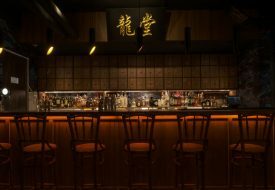 As the night goes on, slowly discover the tipple from categories inspired by regional nightlife hot spots like Itaewon, Seoul; Lan Kwai Fong, Hong Kong and more. For instance, the citrusy Flower Stall ($20) cocktail is a reference to the flower vendors who used to gather at Lan Kwai Fong. 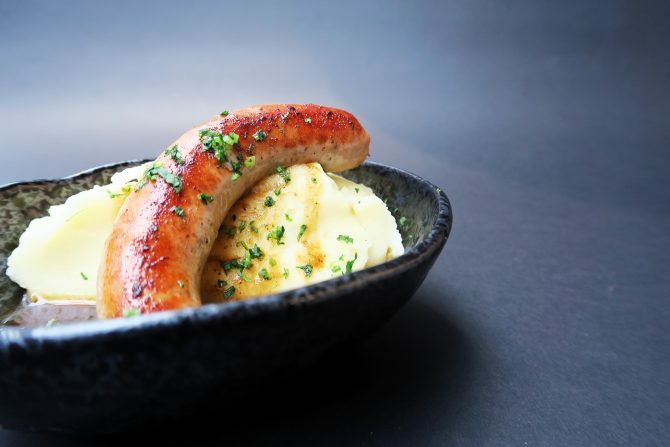 Regular Zouk go-ers will be thrilled to try the new and improved Zouk Sausage & Mash ($12). Unlike the hastily put-together version (not that we actually minded) at the stall outside the club, this recreation features a garlic and thyme pork sausage nestled within a Hong Kong beef brisket jus atop fluffy garlic mash. Munching on it was a stark reminder of how much we’d grown since our youthful days of carefree partying. Departing from the usual bar grub you might find elsewhere, Red Tail does an interesting Scotch Century Egg ($9). In a nutshell, the preserved egg so commonly found in a comforting bowl of century egg porridge, is wrapped in a prawn and ‘Kurobuta’ pork mince. The entire orb of goodness is then crumbed and fried to crispy perfection. Even if you don’t usually fancy century eggs, we egg you on to give this a try. At this point, we were pretty full but couldn’t resist the vodka-based Jungle Juice ($22). With dark rum, pineapple, mango and lime, this zesty drink will either get the party going or be your hangover cure. While desserts aren’t their strong suit, the Dark Chocolate Pudding ($12) is an indulgent mess of sherry-spiked Valrhona chocolate pudding that’s topped with baileys marscapone whipped cream and cacao nibs. At once sweet and salty, it sealed the deal for us. Previous PostTop 10 Halloween Beauty Looks From Instagram Next PostWhat Theme Song Would Your Favourite Fairy Tale Have?